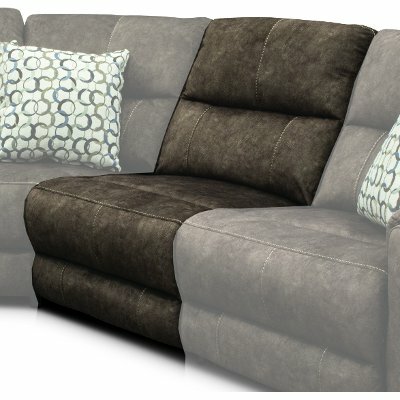 With three power reclining seats, an armless chair, console, and corner wedge, this blue 6 piece power reclining sectional sofa from RC Willey will provide you and your family the perfect gathering spot. Whether placing it in the middle of a large room or bordering the walls of a tight space, this piece will help you make the most of your room and satisfy your seating needs. The console has cupholders for your drinks and hidden storage for your TV remotes. Let RC Willey help you make your home, your way. 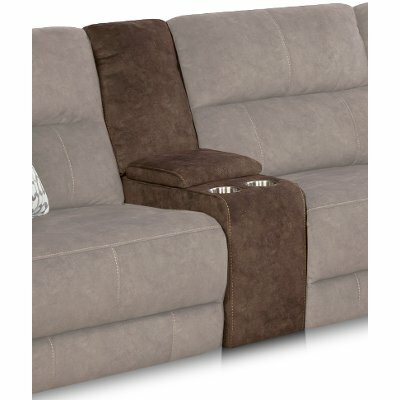 Coco Brown 6 Piece Power Reclining Sectional Sofa - Imprint is rated 5.0 out of 5 by 9. Rated 5 out of 5 by RBA101 Love it! 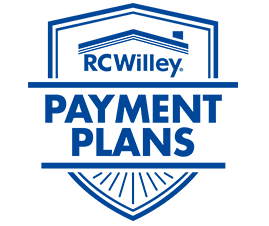 This product review also includes a review on the delivery team who where professional, communicative and friendly. Early delivery by 2 weeks which was great and quick set up. Worth every penny for the white glove service. My husband and I love the comfort and the ease of which the recliners function. I wasn't a fan of recliners until I saw this beauty. Definitely will shop here again in the future. Love the USB feature. Rated 5 out of 5 by raybobs it is excellent excellent excellent very comfy, wonderful watching TV, love the feet and head adjustments. Exactly what we were looking for. Rated 5 out of 5 by Luvsofa234 Best sectional ever This sectional is so comfortable and the power recliners are great. It has the head adjustments that are amazing. I would recommend this sectional to anyone. Rated 5 out of 5 by Sookie1 Comfortable and Family Friendly Sectional This sectional is a good size for our family and we are happy with the neutral color that fits well in our home. The fabric is soft yet sturdy and my kids love the usb plugs to keep their devices charged. Very happy with this couch. Rated 5 out of 5 by FancyFurniture The Ultimate Sectional This sectional is fantastic! The color is rich, and the couch itself is so soft. I love the decorative pillows that came with it. And I never knew I needed the special adjustable headrests on the recliners, but now I will never go back. The best thing about this sectional is that the backs separate from the seats and each seat individually separates from all the others. Not only does this make the sectional mix and mach in how you arrange it, but it also made it extremely easy to move it up flights of stairs into my apartment. Rated 5 out of 5 by rrayney LOVE LOVE LOVE IT I replaced my dated sofa and love seat for this recliner sectional. For those over the age of 60 like us we are thrilled to have such a comfortable place to relax and from time to time, take a nap. Rated 5 out of 5 by CHShopper Comfort for the whole family We love this sectional. Plenty of room for us, the kids and the grandkids. It’s so comfortable and roomy. I feel so pampered with the electric push button recliners and headrests. It’s construction is top quality. 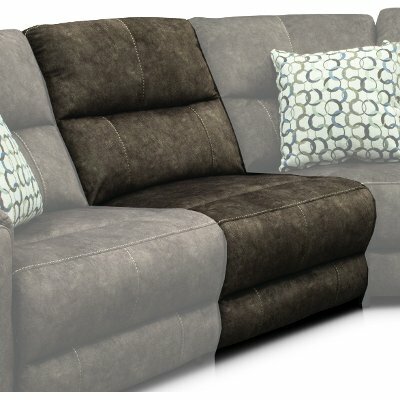 Rated 5 out of 5 by Luvnoursofa Great sectional It is very comfortable and there is no more fussing with pillows behind the head when reclined. The salesperson, Mo, was outstanding! Rated 5 out of 5 by LuvRCW2017 Love this couch Comfortable. Fabric cleans easily. Recliners are comfortable and motor functions well.